INDIANAPOLIS – A pot-smoking church sued the city of Indianapolis and state of Indiana on Wednesday, claiming laws against possession and use of marijuana infringe on its religious beliefs. The First Church of Cannabis, formed as a test of Indiana’s new religious objections law, filed its lawsuit in Marion Circuit Court in Indianapolis, naming multiple defendants including Gov. Mike Pence and state and local law enforcement officers. The lawsuit claims church members believe marijuana is a sacrament that "brings us closer to ourselves and others. It is our fountain of health, our love, curing us from illness and depression. We embrace it with our whole heart and spirit, individually and as a group." 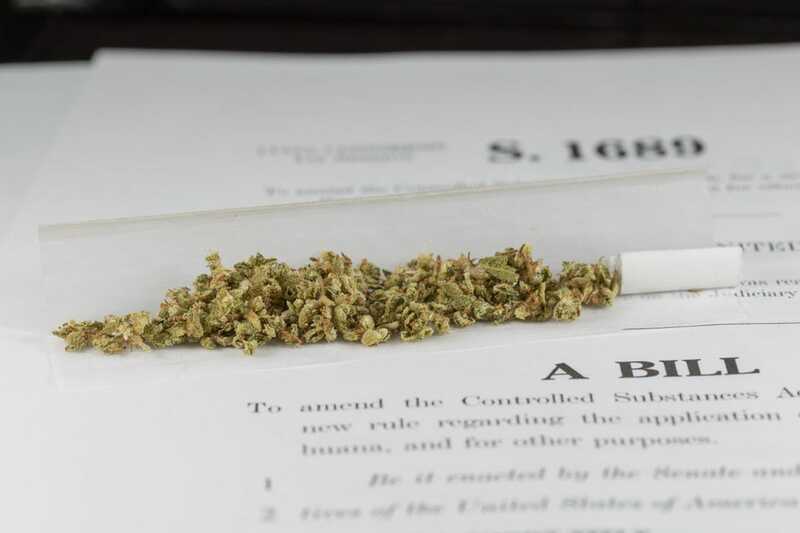 The lawsuit says Indiana laws that make possession of marijuana or visiting a place where it is used a punishable offense place a burden on the church’s exercise of religion, violating the state and U.S. constitutions. "We are taking legal action today to ensure love has no barriers in our land," church founder Bill Levin, 59, said at a news conference in front of the Statehouse. "Today we invite the state of Indiana and all its leaders to joyfully meet us in a court of law for clarifications on our core religious values. We look forward to engaging them on the high plane of dignity and discipline, with love and compassion in our hearts, to find a swift and sensible answer for our questions of religious equality." There was no marijuana during the church’s first service July 1, which was attended by more than 100 people and observed by more than 20 police officers. Local officials had threatened arrests if marijuana was present. A second service was planned for Wednesday evening, and it was not clear whether marijuana would be present. The Indiana Attorney General’s Office issued a statement saying it would file its clients’ response to the lawsuit "at the appropriate time." Levin founded the First Church of Cannabis on March 26, the day Pence signed Indiana’s religious objections measure into law. The IRS granted the church tax-exempt status in May. Levin said the church has more than 1,000 members and is built "on the cornerstone of love, compassion and good health" and isn’t just a place for its members to get high. Indiana’s law sparked protests and boycott threats this spring amid concerns it could provide a legal defense to discriminate against gays, lesbians and others. Lawmakers later revised the law to address those concerns.